Bubba knows the best corporate gifts and promotional products. You might want to follow his lead. Applications include construction, manufacturing, aerospace, technology and oil services related. 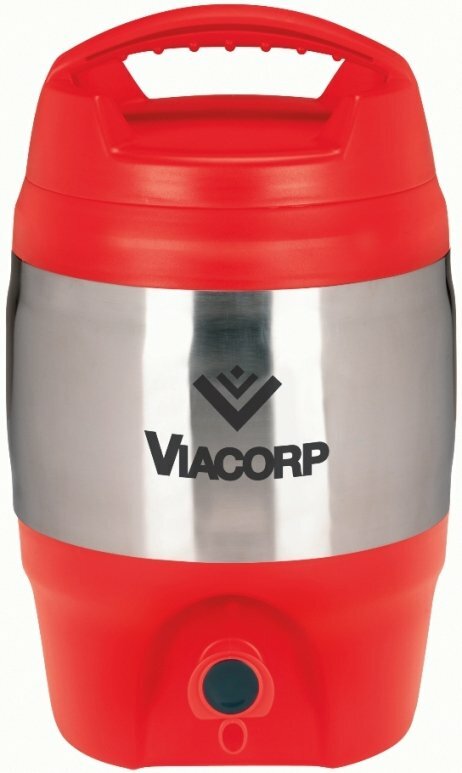 pour spout for dispensing hot or color beverages with 128 oz. or one gallon capacity. Overall size of this Bubba Keg Sport Cooler Jug is 7 1/2" diameter x 12 3/4" h.
Rush Bubba Keg Production is available on this product. Price includes a one color print on the front in an area 4" w x 1 7/8" h.
For Bubba to set up this Sport Cooler Jug charge is $50.00. Bubba has a max of a one color print on this Sport Jug. Logos do require Illustrator eps and confirming pdf.